Francois de Menthon has been practising Acupuncture in Cambridge and Guildford for over 30 years. Having had extensive training in Britain and China, and a long history of teaching and clinical work, he has a wealth of expertise and experience in this field. In diagnosis, Francois aims to identify and treat the source of the problem as well as the symptoms. In this way he is able to provide an effective programme of treatment for a wide range of conditions, both physical and emotional. Over the last ten years Francois has developed a particular interest, further training and growing practice in the treatment of fertility problems, IVF support, and pregnancy. 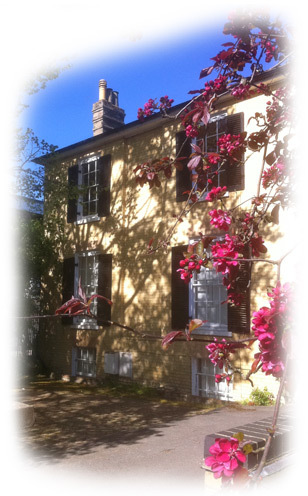 Both Acupuncture Clinics in Cambridge and Guildford are attractive well established complementary medical centres, conveniently located in the heart of both cities. To book an appointment or to arrange for a FREE 15 MINUTE PHONE CONSULTATION please call Cambridge on 01223 315541 or Guildford on 01483 300 400. Acupuncture has made an amazing difference to my migraines. I was experiencing migraines almost daily but since I started regular acupuncture, the migraines are infrequent and generally mild. I would recommend acupuncture for anybody suffering from symptoms of menopause, and am extremely grateful to Francois for giving me my life back! After being ill with a chest infection and feeling out of sorts, I saw Francois for a booster treatment which worked wonderfully well. I am now sleeping like a baby and have all my energy back. Francois has treated me successfully for pain relief, general malaise, stress, some depression and blood sugar controls. I, and other patients I have recommended him to, speak very positively and warmly of his work.